Here’s a sneak peek of our upcoming May issue! In early April, a group of students and a professor from the Hopkins-Nanjing Center visited North Korea. They left Beijing April 9th and returned April 16th. Below are photos from behind the wall, courtesy of Hopkins-Nanjing Center student Natalie Sammarco. Colonel Kim at a watchtower along the border of North and South Korea. 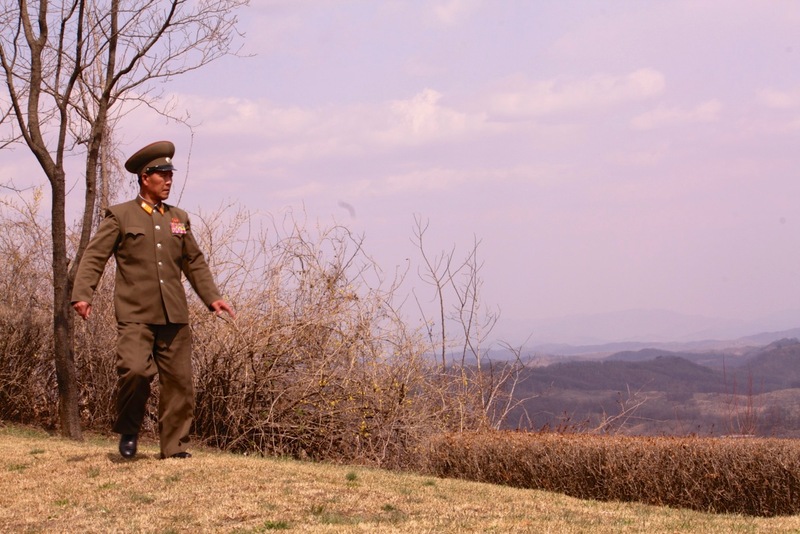 Much of the land in the background is a minefield located in the Demilitarized Zone. 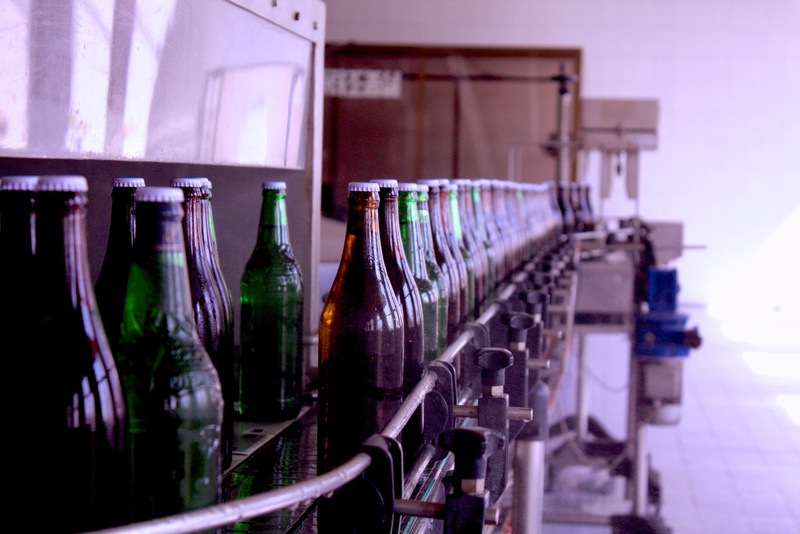 This North Korean water bottling plant uses recycled materials, so not all the bottles are the same. 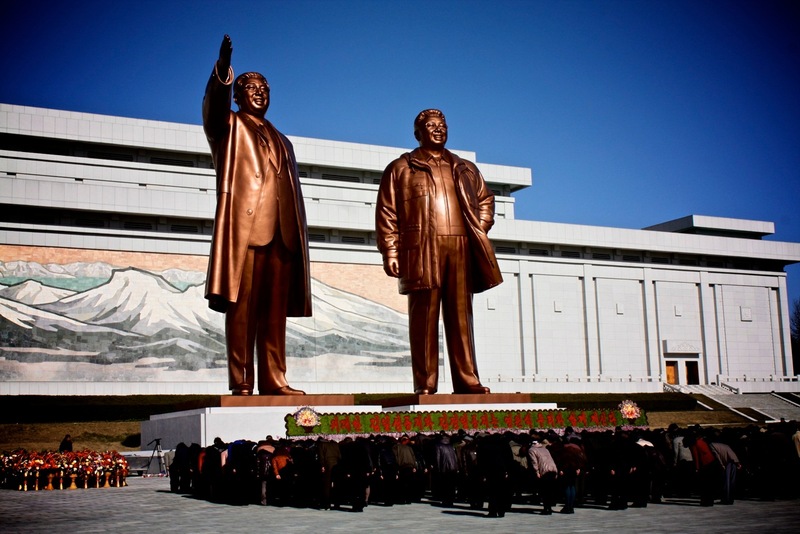 Statues of Kim Il-sung and Kim Jong-il on the National Holiday (Kim Il-sung’s birthday, April 15th). 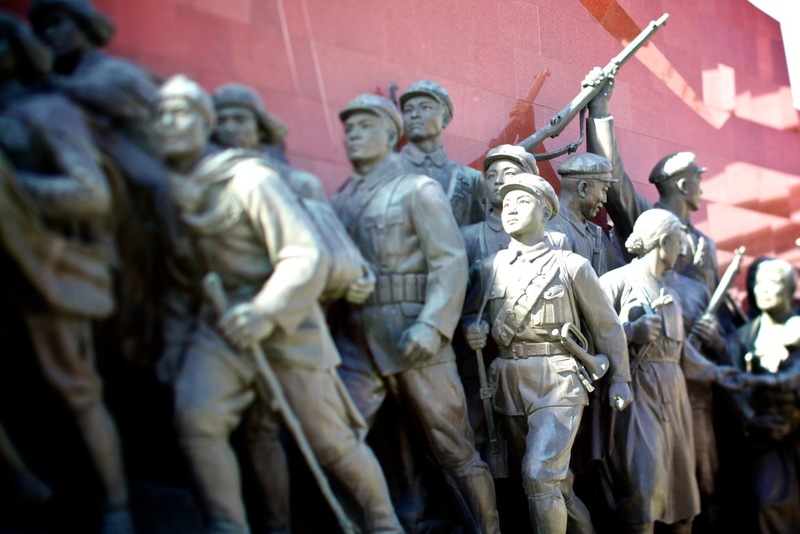 Statues of soldiers near the statues of the leaders Kim Il-sung and Kim Jong-il. 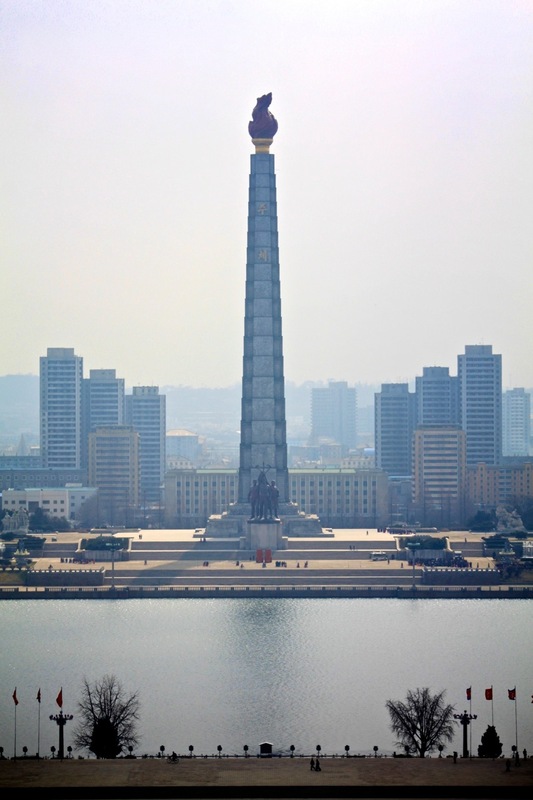 The “Tower of Juche Idea,” which represents Korean nationalism and self-reliance, looks over the River Taedong. 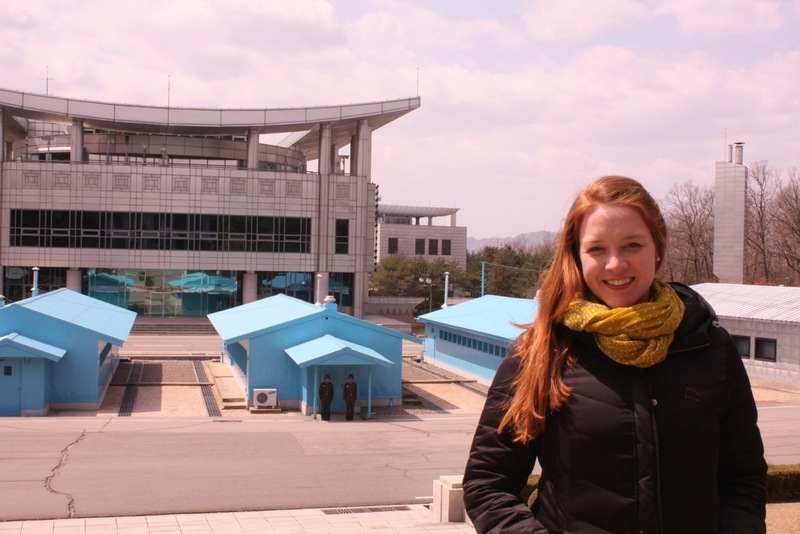 Natalie Sammarco poses at the demilitarized zone between North and South Korea.